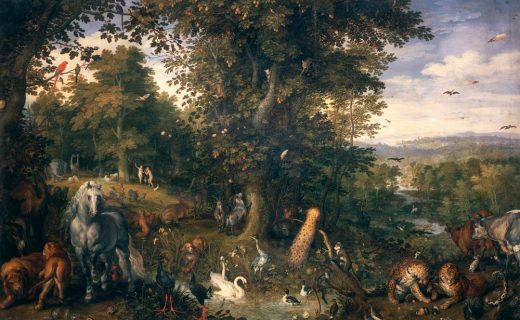 The Soestdijk Estate will be transformed into Eden Soestdijk; an experimental garden for a sustainable society and a paradise destination for all. 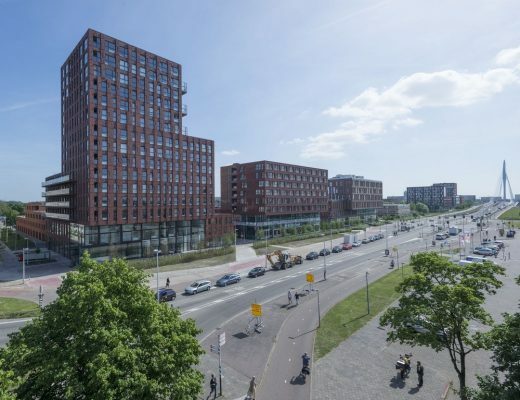 That is the plan developed by the Eden Soestdijk foundation, Mecanoo architecten, Kossmann.dejong and Royal HaskoningDHV in response to the redevelopment competition for the Palace organised by the Dutch government. 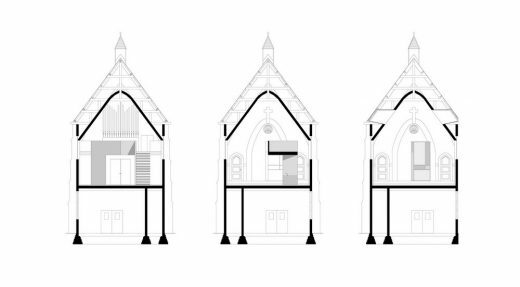 The redevelopment of the Soestijk estate has a social purpose in creating a more sustainable society. An educative journey will touch all the visitors’ senses, triggering them to become more aware and conscious of the earth’s fragility. 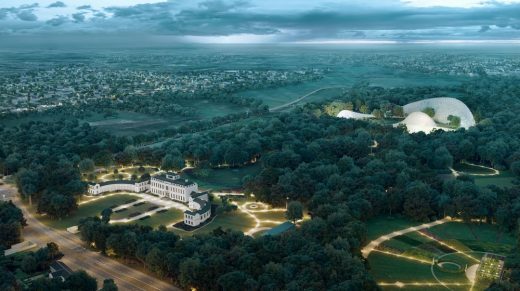 Eden Soestdijk has international appeal and will be an economic, educative and cultural asset to the Netherlands. fifty-seven million euro’s annually will be fed back to the economy, especially regionally. In addition the park offers a wealth of opportunities for intern and apprenticeships as well as positions for those with difficulty accessing the job market. Because Eden Soestdijk is being developed and exploited in a non-profit manner, all continued proceeds will be reinvested in the further development of the estate. 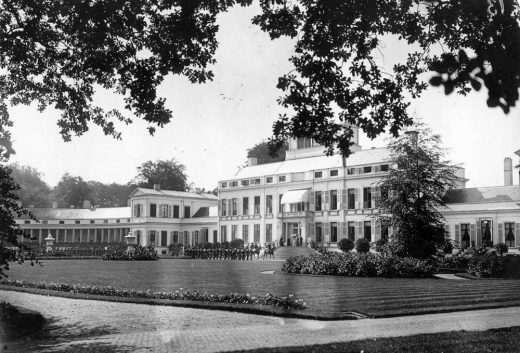 Eden Soestdijk builds on the connection of many Dutch citizens to the estate and the palace. Development of the plans will take place in dialogue with residents, entrepreneurs and organisations from Baarn, Soest and the wider region. Briefings will be organised in November for this reason. An architectural greenhouse winding through the forest behind the palace gardens will be the main icon of Eden Soestdijk. Within this striking greenhouse visitors will be taken on an interactive expedition through spectacular landscapes highlighting topics of circularity, ecological balance and the social aspects of sustainability. In the tropical rainforest you will experience the importance of biodiversity. Efficient and sustainable food production is the central message of the high-tech agricultural area. In a subterranean world you will see how fungi and bacteria work. The results of climate change become visible in an icy artic landscape and the unique Martian landscape stresses the fragility of the earth from a cosmic perspective. 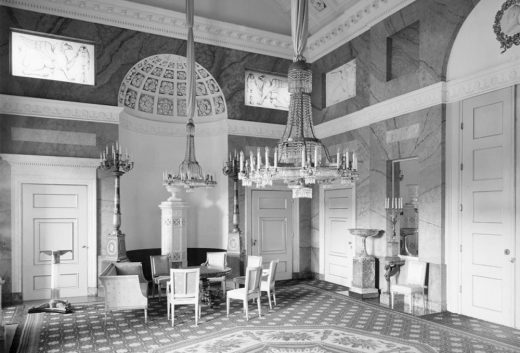 The chambers within the palace showcase the rich history of the estate and its residents. They will be restored while maintaining the original character and, when possible, used for cultural and business events. The palace also serves as an incubator space for sustainability where entrepreneurs, experts and students can exchange knowledge and develop ideas. The wing chambers will be designed as interactive exhibition spaces that showcase the beauty of nature from a cultural, historical and scientific perspective. Multimedia presentations stimulate the visitors’ fantasy, motivating them to interact with the world in a more sustainable manner. The landscape is an integral part of Eden Soestdijk. The palace gardens will be restored in full glory. Exciting, educative and fairytale-like gardens and landscapes strengthen the experience of nature. 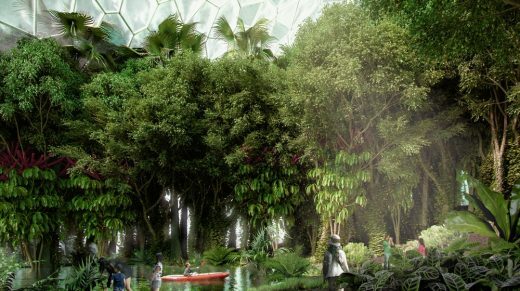 They will each connect with the central theme of sustainability while showcasing a unique individual atmosphere. 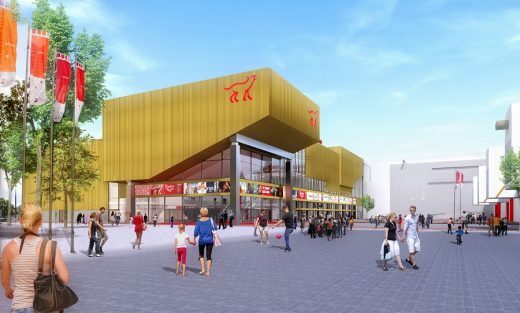 The front square connects the palace and the restaurant in the conservatory and will be publicly accessible through a pedestrian and cycling tunnel beneath the Amsterdamse Straatweg. Eden Soestdijk was initiated by the Eden Soestdijk foundation, partnering with Mecanoo architecten, Kossmann.dejong exhibition architects, Royal HaskoningDHV and Bureau voor Bouwhistorisch Onderzoek en Restauratie F. Franken. The project was inspired by the Eden Project in Cornwall (Great-Britain) where more than a million visitors annually learn about the importance of a sustainable lifestyle in a fun and engaging manner. The development of Eden Soestdijk involved a number of civil society partners, amongst which universities, colleges and various vocational colleges from the surrounding area, but also the MELiSSA-project run by the European Space Agency (ESA) – represented by IPstar – and the Dutch association of Botanical Gardens.